My Parenting Journey: Hows my hair? 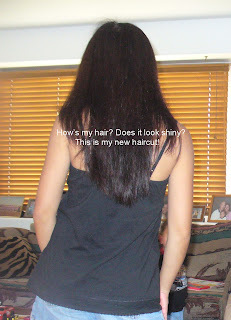 I never go to salon to cut my hair, i think the last time i go to salon is last year when we still live at Silverthorne. I am the one who cut my hair and i dont care if my hair is straight or not. But i like the V-cut. Im enjoying cutting my hair, i think i cut 1 inches of my hair. Just trim you know... How does it look right now? I think it is better than before!